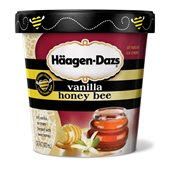 Many Häagen-Dazs locations will be giving away a free scoop of any of their Bee Built Ice Creams from 4:00-8:00PM today. Lucky for you, Blondie and Brownie, writers of my favorite food blog, have done the dirty work for you. Click here to find out which locations are participating.